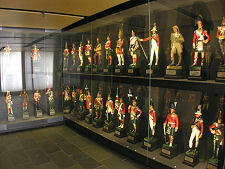 Scotland's National War Museum is one of a collection of museums that together form National Museums Scotland. It explores the impact of war on Scotland's history, identity and reputation abroad: and the way that the lives of large numbers of ordinary Scots have been touched by war and military service. 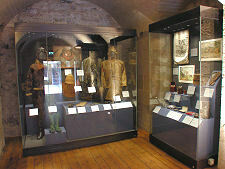 The National War Museum is located within the impressive walls of Edinburgh Castle. 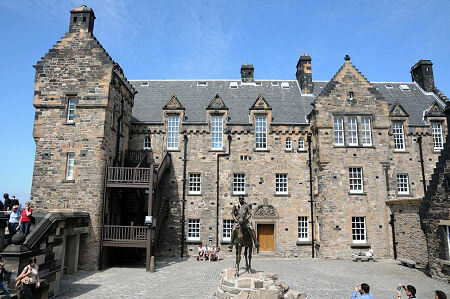 The buildings housing the museum lie towards the west end of the castle. As part of the 1753 expansion of accommodation in the wake of the 1745 Jacobite uprising, the military engineer William Skinner (who is better remembered as the builder of Fort George near Inverness), built three ranges of buildings around a square. 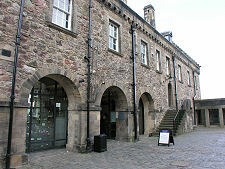 Two of these, on the north and south side, were built as storehouses for equipment, while the third, the west range, was designed to be Edinburgh Castle's main gunpowder magazine. In 1897 the magazine was demolished, opening up the west side of the square, and the north and south ranges were converted to become a military hospital. The square between them became know as Hospital Square. The National War Museum was established here in 1930 to form part of a lasting memorial to the sacrifice made by so many Scots during the First World War. 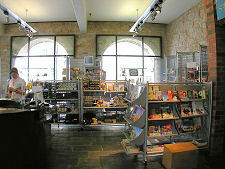 The museum occupies the two main storeys of the range on the south side of Hospital Square, plus the ground floor of the range on the north side. They are linked together by an all-weather connecting corridor running along the west side of the square. 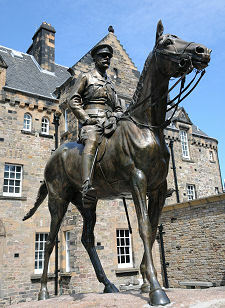 In the centre of the square is a large equestrian statue of Field Marshal Douglas Haig, which had previously stood on the esplanade of Edinburgh Castle. 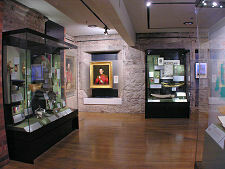 The museum is divided into a series of thematic sections. 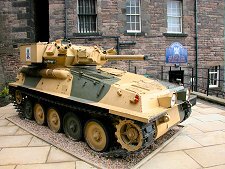 The first, "a nation in arms", examines the way Scotland's military experience has helped shape the nation as a whole and the lives of ordinary Scots. Here too, the influence of Scotland's often turbulent relationship with England is examined, as is the impact of the divide between Highlands and Lowlands. "A grand life for a Scotsman" asks why so many Scots became sailors, soldiers or airmen, and the impact they had on the British armed forces. This section looks at military life from the point of view of the individual: from recruitment to retirement. "Tools of the trade" looks at the clothing and equipment and weapons of individual servicemen, and the way they developed over time to meet the changing demands of warfare. 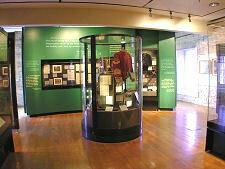 "Highland soldier" looks at the role of the image of the kilted soldier as an icon of Scottish identity. Here you can seen how a way of life seen as a threat to government in the years to 1745 was harnessed in the cause of the British Empire. The fifth theme, "in defence", looks at the volunteer forces who provided home defence while the front line troops were often committed far away: and how war came to touch the lives of ordinary people across Scotland. The final theme within the permanent exhibitions is "Active service, six aspects of battle" which examines the experiences of individuals in war. 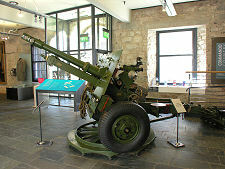 There are also some striking individual exhibits, such as a 17 Pounder gun and a Scorpion Tank. 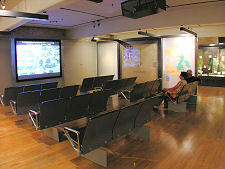 In addition the National War Museum hosts temporary exhibitions: for example one that looked at the role of the highlands in the training of World War Two commandos. 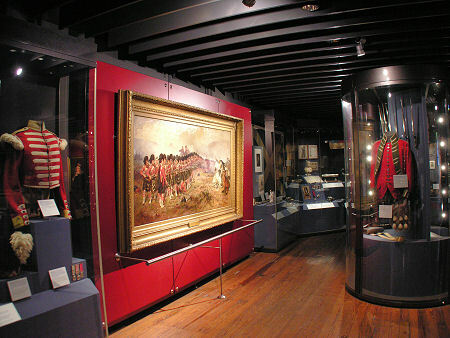 One of the Museum's Galleries, Featuring the Painting "The Thin Red Line"